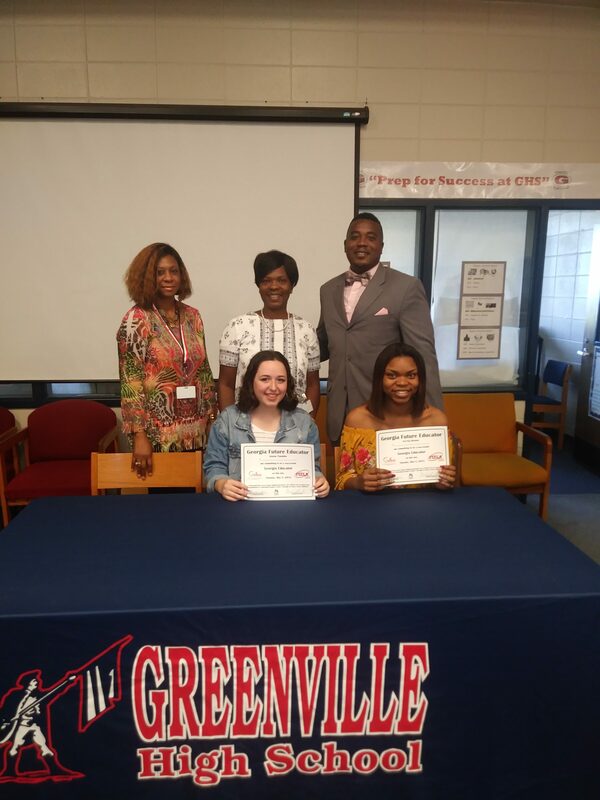 Georgia Future Educators Signing Day was held on Tuesday, May 8, 2018 at Greenville High School in honor of Tre’Na Brown and Jenna Toombs who have decided to embark on a career in education. 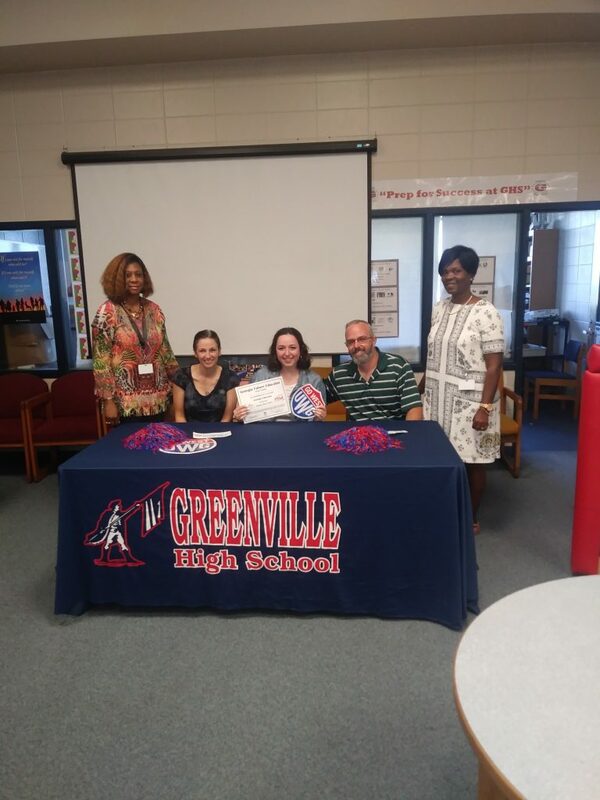 This endeavor was supported by the State School Superintendent’s Office, Division of Career and Technical Education (CTAE), Georgia Early Childhood Education Foundation (GECEF), and Georgia’s colleges and universities. GHS Teacher of the Year: Ms. Haley Borders! 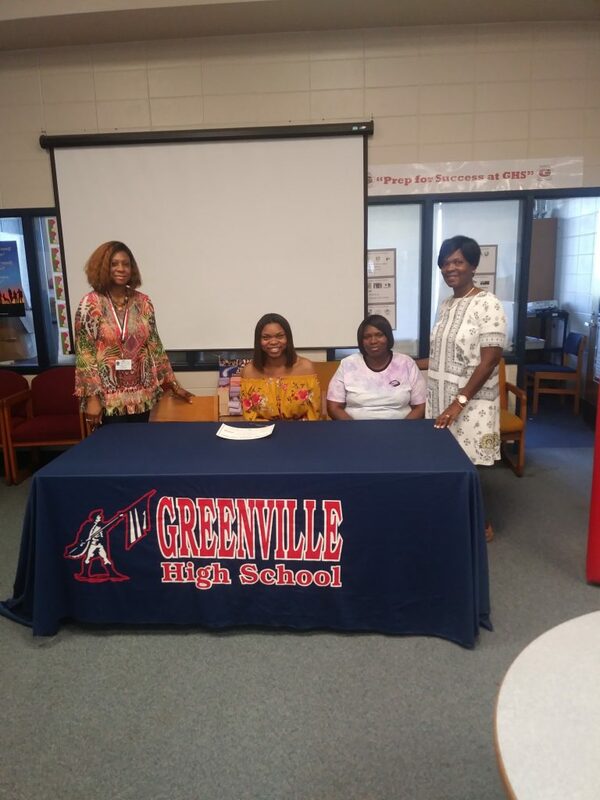 GHS Paraprofessional of the Year: Ms. Briggetta Holloway!